Changeable cloudy, mostly dry is expected Baku and Absheron peninsula on August 31. Mild south-east wind will be replaced bynorth-east wind in the afternoon. 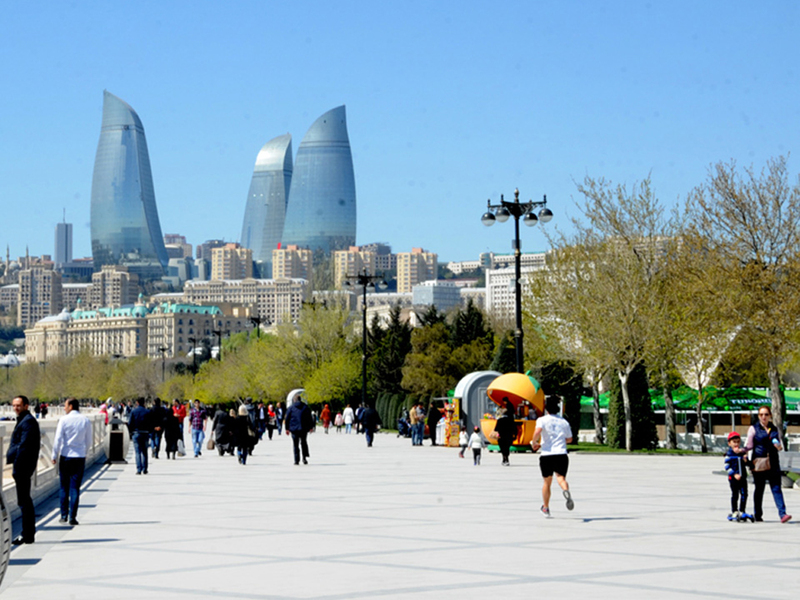 The temperature on the peninsula will be +20-24˚C at night, +29-34˚C in afternoon in Absheron peninsula, +22-24˚C at night, + 32-34˚C in the afternoon in Baku, the Ecology and Natural Resources Ministry reported. Atmospheric pressure will be 761mm; relative humidity will be 60-70% at night, 40-50% in the afternoon. Mild south-east wind will be replaced by north-east wind in the afternoon. The weather will be dry in country's regions. It will be foggy in some mountainous places in the morning. East wind will blow. The temperature will be +18-23˚C at night, +31-36˚C in daytime, +12-17˚C in mountains at night, +21-26˚C.